Fantech has been at the forefront of fan and acoustics technology by developing and implementing new and innovative products for virtually every air movement and ventilation need, as well as noise attenuation. 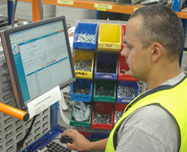 With ISO9002 accreditation for 10 years and more recently IS09001:2008 accreditation, Fantech maintains high standards of manufacturing and a continuous improvement culture. 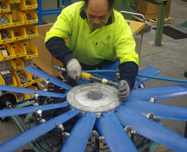 With modern manufacturing plants in Melbourne, Sydney and Brisbane and warehouses throughout Australia and New Zealand, we provide unmatched delivery performance and customer service. Fantech offers a most comprehensive network of representatives, including offices in all capital cities and regions of Australia and New Zealand, as well as throughout South East Asia.